Free Webinar: Sensory Self Advocacy and Strategies. 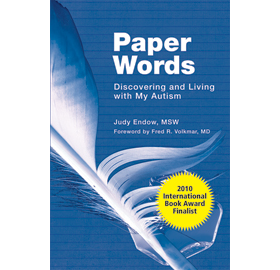 Cara Woundy interviews Judy Endow. Part Two of Autism and Sensory Processing offered by Tri-State Autism Collaborative. Colorado, Kansas and Nebraska. surveymonkey.com/r/8WGWLCZ to register for this free webinar. San Francisco, CA Various locations. Racine, WI. Summer Autism Institute. Racine Unified School District. For more information please email: Julie Arens at julie.arens@racine.k12.wi.us. Wisconsin Dells, WI. Autism Society of Wisconsin Conference. Art Exibit and Sales. Madison, WI. Autism Society of South Central Wisconsin Conference: Making Work Work. 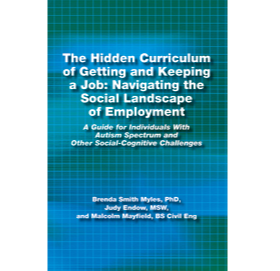 Keynote: The Hidden Curriculum of Getting and Keeping a Job. For more information please contact ASSCW. McFarland, WI. Common Threads Family Resource Center staff development and consultation. Madrid, Spain. Various locations and events. Lisbon, Portugal. Various locations and events. Paris, France. Various locations and events. Green Bay, WI. Various locations and events. Carol Stream, IL. Autism presentation for school faculty and staff. Columbus, OH. 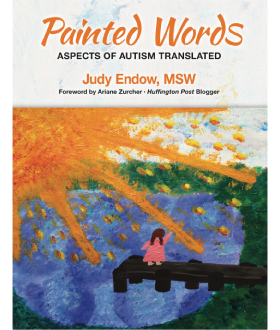 Painted Words: Aspects of Autism Translated presentation. Columbus, OH. National Autism Leadership Summit. Watertown, WI. Embracing Life Autistically, Outsmarting Explosive Behavior and Making Lemonade presentations for Southeast Wisconsin Training Initiative. For more information please contact Connie Horn at Bethesda Institue in Watertown, WI (920) 206-4443. Summit, WI. Autism Summer Institute for Kettle Morraine School District presented by Kate McGinnity and Judy Endow. For more information please call 262-968-6300 ext 5343 for Mary Ellen or ext. 5342 for Jennifer. McFarland, WI. Comprehensive autism assessment and intervention in the schools using the Ziggurat and Comprehensive Autism Planning Systym presented by Ruth Aspy and Barry Grossman. For more information please email Jackie Moen from Common Threads Family Resource Center at jackie@commonthreadsmadison.org. Harrison, VA. Learning the Hidden Curriculum meet the author with Q & A event for a teacher book club. Madison, WI. Staff Inservice. For more information please email Jackie Moen from Common Threads Family Resource Center at jackie@commonthreadsmadison.org. Various locations in Kansas and Missouri. Overland Park, KS. 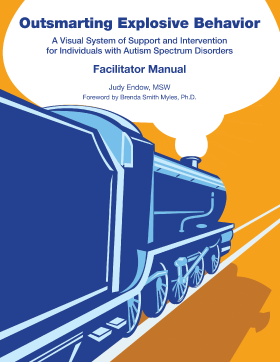 The Hidden Curriculum for Kansas Autism Specialists. For more information please email Jane Goetz from TASN/Autism Supports at jgoetz2@kumc.edu. Palm Desert, CA. Filming project for PBS Television. Canandaigua, NY. Conference. For more information please email Jill Mundy from Happiness House/Finger Lakes Cerebral Palsy Association at jmundy@happinesshouse.org. Racine, WI. Staff Inservice. Racine Unified School District. For more information please email: Julie Arens at julie.arens@racine.k12.wi.us. Souix Falls, SD. Conference. For more information please email Nancy Saufley from Sanford School of Medicine of The University of South Dakota at Nancy.Saufley@usd.edu. Jamestown, ND. Conference. For more information please email Marcy Szarkowski from Anne Carlsen Center at marcy.szarkowski@annecenter.org. Various locations in Southern Florida, Haiti, Jamaica and Mexico. Racine, WI. Autism and Sensory Implications. Racine Unified School District. For more information please email: Julie Arens at julie.arens@racine.k12.wi.us. Boulder, CO. Autistic Global Initiative. Work meetings. Madison, WI. Impementing Sensory Regulation, Part 2. For more information please email Jackie Moen from Common Threads Family Resource Center at jackie@commonthreadsmadison.org. Madison, WI. Impementing Sensory Regulation. For more information please email Jackie Moen from Common Threads Family Resource Center at jackie@commonthreadsmadison.org. Madison, WI. Outsmarting Explosive Behavior followup and AIM Module Introduction. For more information please email Jackie Moen from Common Threads Family Resource Center at jackie@commonthreadsmadison.org. Madison, WI. Understanding Sensory Regulation. For more information please email Jackie Moen from Common Threads Family Resource Center at jackie@commonthreadsmadison.org. Madison, WI. Outsmarting Explosive Behavior. For more information please email Jackie Moen from Common Threads Family Resource Center at jackie@commonthreadsmadison.org. Racine, WI.Summer Autism Institute for Staff TBD, Racine Unified School District. For more information please email: Julie Arens at julie.arens@racine.k12.wi.us. Crookston, MN. Outsmarting Explosive Behavior and Practical Solutions for Stabilizing Students With Classic Autism to Be Ready to Learn. For more information please contact Andrea Reynolds at AReynolds@rvierviewhealth.org. Racine, WI. Embracing Life Autistically, Racine Unified School District. For more information please email: Julie Arens at julie.arens@racine.k12.wi.us. Salem, OR. Embracing Life Autistically, Outsmarting Explosive Behavior and Practical Solutions for Stabilizing Students With Classic Autism to Be Ready to Learn. For more information please contact Annette Skrowron-Gooch at Willamette Education Service District, 2611 Pringle Rd. SE, Salem, OR. Witchita, KS. School District consultation and presentations on Outsmarting Explosive Behavior and Making Lemonade. Pewaukee, WI. 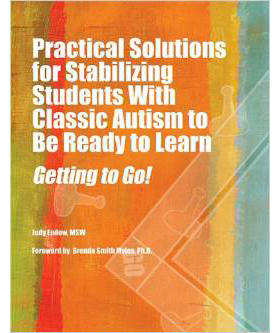 Practical Solutions for Stabilizing Students With Classic Autism to Be Ready to Learn. Parents United. For more information please email Edie Scott at ediescott50@yahoo.com. Toledo, OH. Autism and Art. University of Toledo Center for Excellence in Autism. For registration please contact: Sherry Moyer at sherry.moyer@utoledo.edu or call 419-383-4438. Columbus, NE. Embracing Life Autistically, Outsmarting Explosive Behavior, and Hidden Curriculum Across the Lifespan. For details please contact Sue VanHousen at suevan@esu7.org. Washington D.C. Evidence Based Practices for Students with Autism that Promote Participation in and Learning of the General Education Curriculum in the General Education Classroom Think Tank. Waunakee, WI. Dane County Autism Institute Introductory Training.. Co-presented by Nan Negri, Kate McGinnity, Judy Endow. For registration, please contact Joyce Endres at 608-849-2015. Autism Team Training, Part Four for Racine Unified School District. For more information and registration please email: julie.arens@racine.k12.wi.us. Making Lemonade Presentation. Community of Practice on Autism Spectrum Disorders and Other Developmental Disabilities Statewide Video Conference. Various WI Locations. For more information and registration please emailt: Timothy.Markle@dhs.wisconsin.gov. Autism Team Training, Part Three for Racine Unified School District. For more information and registration please email: Julie Arens at julie.arens@racine.k12.wi.us. The Impacts of Autism and Best Practice Supports. Wyalusing Academy in Prairie du Chien, WI. 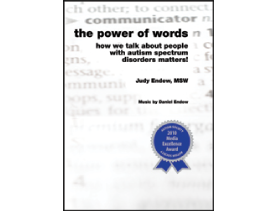 Co-presented by Kate McGinnity and Judy Endow. For more information please email: Colleen Teynor at cteynor@clinicarecorp.com. Autism Team Training, Part Two for Racine Unified School District. For more information and registration please email: Julie Arens at julie.arens@racine.k12.wi.us. Autism Team Training, Part One for Racine Unified School District. For more information and registration please email: Julie Arens at julie.arens@racine.k12.wi.us. Hidden Curriculum for Older Adolescents and Adults. Parents United. Pewaukee, WI. For more information please email Edie Scott at ediescott50@yahoo.com. Hidden Curriculum Across the Life Span. Location: Hench Autism Studies Program at Defiance College, Defiance, OH. For registration please email: jburkhardt@defiance.edu or call 419-783-2315. Keynote and Breakout: Hidden Curriculum for Older Adolscents and Adults along with Outsmarting Explosive Behavior. LaCrosse Autism Conference. LaCrosse, WI. For more information email Andrea Hansen at hansen.andr@uwlax.edu. Increasing Independence for Students with Autism. Location: McFarland School District, McFarland, WI. Co-presented with Kate McGinnity. Wauna-Priaire Autism Institute Introductory Training. Location: Waunakee, WI. Co-presented by Nan Negri, Kate McGinnity, Judy Endow. For registration, please contact Joyce Endres at 608-849-2015. The Power of Words and Traveling with Lemonade. Location: Hilton of Toledo, OH. For registration please contact: Sherry Moyer at sherry.moyer@utoledo.edu or call 419-383-4438. 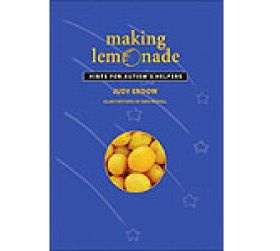 Traveling with Lemonade and The Power of Words. Location: University of Toledo Center for Excellence in Autism. For registration please contact: Sherry Moyer at sherry.moyer@utoledo.edu or call 419-383-4438. Outsmarting Explosive Behavior. Milwaukee Public Schools. Milwaukee, WI For more information please email: kilpbj@milwaukee.k12.wi.us. Outsmarting Explosive Behavior. Mukwonago Area School District. Mukwonago, WI For more information please email: koskima@mukwonago.k12.wi.us. Keynote Address: Outsmarting Explosive Behavior. 3rd Annual Autism Conference, Virginia Department of Education’s Training and Technical Assistance Center at Virginia Commonwealth University. Location: Richmond, VA. Closed conference. For more information please email Susan Palko at palkosm@vcu.edu. Autism Presentation. Madison Public Schools. Location: Madison, WI. Details to be announced. For more information please emailt Michael Shoultz at michaelshoultz@yahoo.com. WaunaPrairire Summer Autism Institute, Advanced Level. Location: Waunakee High School, Waunakee, WI. Day 1: Anne Donnellan & Martha Leary: “A Changing Understanding of Autism through Dynamic Systems.” Days 2 ,3, & 4: Social Skills, Challenging Behavior and other autism related topics with varied speakers, including: Nan Negri, Kate McGinnity, Judy Endow, Sharon Hammer, Mike Shoultz, Jenny Potanos, Lisa Hoeme. For registration, please contact Joyce Endres at 608-849-2015. Janesville Public Schools’ Summer Autism Institute. Location: Janesville Public Schools. Intro to Autism co-presented by members of the JAST Team (Day #1); Thinking In Pictures co-presented by Kate McGinnity and Judy Endow (Day #2). For registration, please email Tracy Schenk at tschenk@janesville.k12.wi.us. Understanding the Meaning Behind Behavior that is Experienced as Challenging for the Learner and Others. Location: Kettle Moraine School District, WI. Co-presented by Kate McGinnity, Lisa Ladson, Sharon Hammer and Judy Endow. For registration, please contact Jennifer Franjevic at tschenk@janesville.k12.wi.us. Positively Impacting Challenging and Explosive Behaviors with Solutions that Work. Location: Mequon-Thiensville School District, WI. Co-presented by Kate McGinnity, Lisa Ladson and Judy Endow. For registration, please contact: Sandy Van Treeck, Special Education Secretary at svantreeck@mtsd.k12.wi.us or 262-238-8514. Wauna-Priaire Autism Institute Introductory Training. Location: Sun Prairie, WI. Co-presented by Nan Negri, Kate McGinnity, Judy Endow and Jenny Potanos. For registration, please contact Joyce Endres at 608-849-2015. Outsmarting Explosive Behavior. Open to the public. District 214 Arlington Heights, IL. For more information and registration please contact: pam.pickle@d214.org. Making Life Work: How I Manage My Autism to Enjoy Life. Autism Support Team Training. District 214 Arlington Heights, IL.